Last week I was invited to a cocktail/mocktail master mixology class for bloggers. I must admit it was my first mixer and Samia, one of the PTA girls, agreed to join me representing the mocktail to my cocktail. So I went. I took a taxi to Samia’s place and she drove us to The Meridien Abu Dhabi which is the wrong hotel. Not the wrong hotel if you want to try out the new Greek restaurant (Opa!) but the wrong hotel if you’re going to join the bloggers at the Market Kitchen. We drove a few minutes up the street to Le Royal Meridien home of the master mixology. What a beautiful hotel. Unfortunately, in my time here in Abu Dhabi I have completely overlooked this fabulous hotel and all of its wonderful restaurants. Since we arrived late I wasn’t able to see the swimming pool which is a huge disappointment to me because I am on an official search for the most fabulous pools in Abu Dhabi. Hint. Hint. 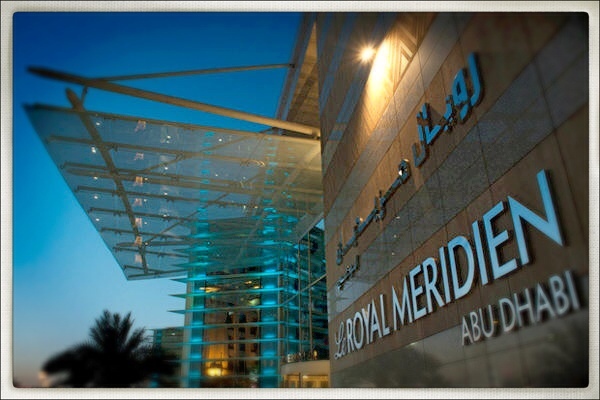 Le Royal Meridien. I will also say, that my friend Laura used Le Royal Meridien to cater her masquerade party which was fabulous and the talk of the town for several days afterward. Anyway, Samia and I climbed the stairs to this little bar above Market Kitchen which resembled the living room of my Italian aunt. If I were Italian and I had an aunt. It was super cozy, softly lit and the perfect place for an intimate evening. All around the place oozed Italian comfort. And the bar smelled like all of the fresh fruits we were going to use to concoct our mixology drinks. From the beginning I knew things were going to be tricky because I was the only American at mixology. Samia is Canadian/Pakistani married to an American/British Pakistani. So she has the ethnic-mixology to converse that I do not. I should say thank you Samia for knowing Urdu. We would’ve been stuck in the lost corridors of Abu Dhabi without it. So I started the mixology night off not understanding anything anyone was saying. Could be due to the meds. Could be due to the fact that most of the other bloggers were British and although we share the English language we usually cannot share a conversation. I laugh as if I understand what they are saying and hope that they are not describing the recent event of their grandmother’s funeral. Life is not easy in a multicultural, ethnically blended city. Anyway, Samia jumps into this mixology like she’s one of the crew. She’s chatting everyone up like she’s known them all her life. She’s like that regardless of where you take her. And there I was woozy on my prescription meds. “Gina I think you should go behind the bar and mix up a few drinks.” Samia said with her usual chatty smile which convinces you that everything is a good idea. I stumble by the bar past Bruno Valentino to begin my class in mixoloy when it occurs to me that there couldn’t be a more perfect name for the person who is hosting a mixology at an Italian restaurant than Bruno Valentino. Perfect. Although, now that I think about it, Bruno would be even more perfect as a silent Hollywood film star except those days are gone. Too bad for Bruno. You might be expecting that due to my meds, limited communication with my cohorts, and the dark lighting of the venue that this blog post will end in a huge debacle and otherwise total failure. But it did not. It was an absolute success. Regardless of not understanding instruction or knowing what I was doing, both Samia and I managed to whip up some very tasty cocktails and mocktails. The rest of the evening was dedicated to eating some fantastic appetizers and drinking the very tasty drinks that I was promised. I will assure you that regardless of cooking skill, current medication routine or your ability to communicate, you too can mix up these tasty drinks. Give it a try. Although I will remind you if you would like to visit and try the entire collection of fantastic cocktails from the masters please visit Market Kitchen at Le Royal Meridien Abu Dhabi. I must say it was a great event and the Market Place is a lovely place to get together with friends new and old, and also with those you cannot understand. It makes an evening far more entertaining. Thank you very much Mr. Bruno Valentino and the entire staff of Market Kitchen Le Royal Meridien Abu Dhabi. The Market Kitchen has shared a few of the fabulous recipes for us to try at home….and when you’re finished mixing please invite me over. Muddle cucumber, mint, lemon juice, and syrup. Add gin. Shake and double strain into chilled martini coupe. Rim rocks glass with ginger salt and fill with ice. Pour all liquids into a mixing glass. Shake. Strain over fresh ice. 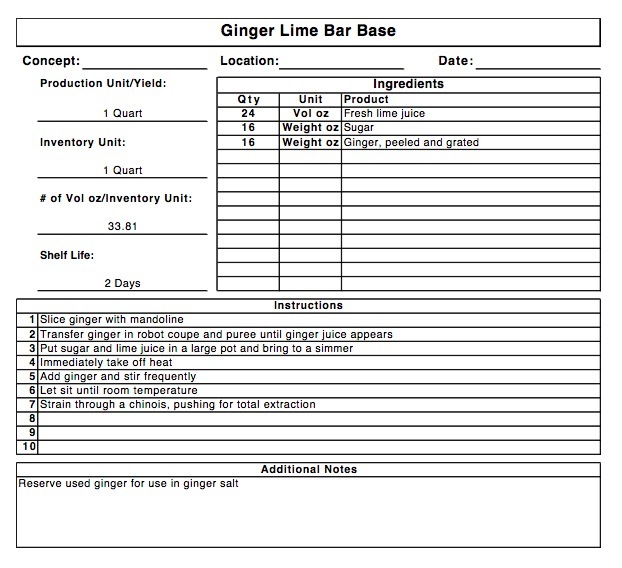 Add tea, lemon juice, ginger and simple syrup in a highball. Fill highball halfway with crushed ice and swizzle until glass is frosty. Fill the rest of the glass with crushed ice. Muddle strawberry with simple syrup and ginger base. Ice shaker and hard shake. Squeeze lime and drop into glass. Gentle stir. as usual, a very entertaining & informative read, ms. gina. i love d recipes, will try it soon.